For Sunday Sketches ~ not really finished yet. My muse seems to be on vacation or has a case of the winter 'blahs' ~ am not sure quite which. I seem to want to 'burrow' in with a book and let the world go away. Yet, I will 'keep on keeping on'. Visualizing 'spring time' in my heart. Is it Spring time where you are? Lovely post Carol, I love the sunrise it is beautiful. In Australia, it is Autumn, and bloomin cold this morning. 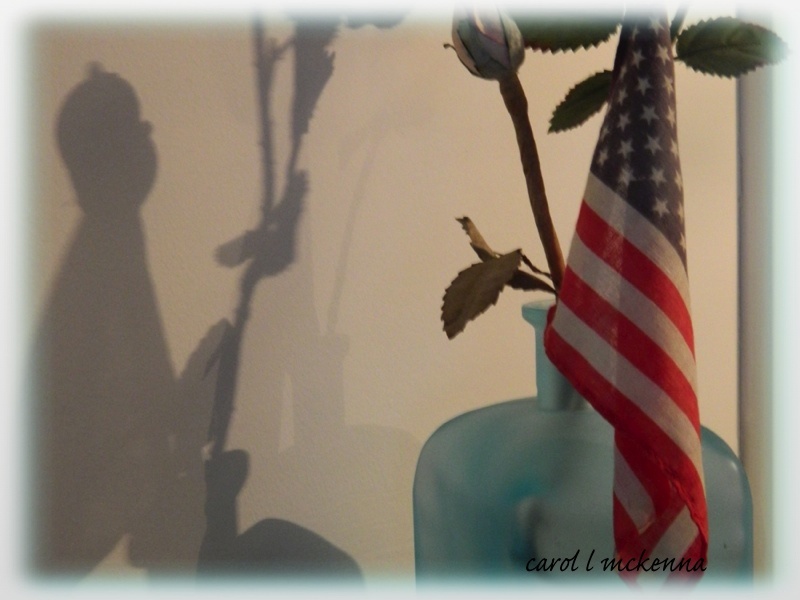 Great, creative shadow shot for the day, Carol! Hope you're enjoying a lovely weekend!! Your photos are lovely, especially the sunset with all it's color. Love them all! 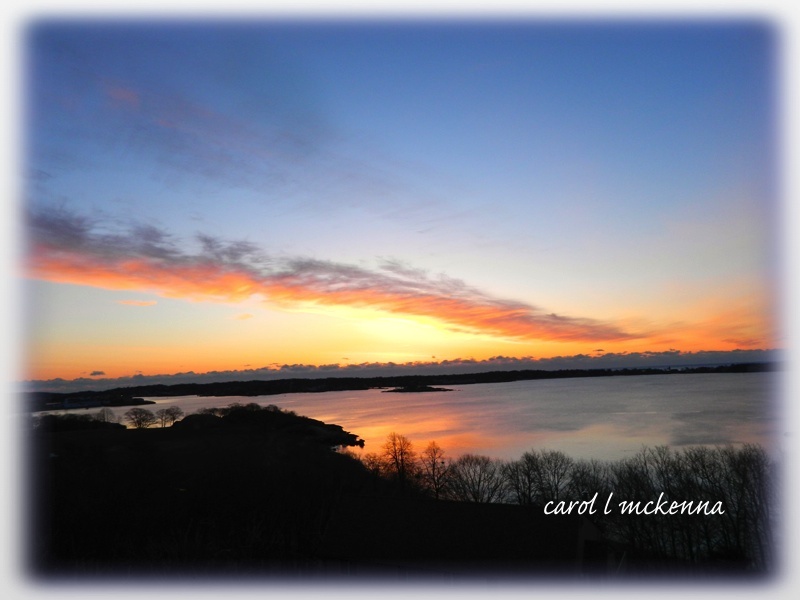 Cape Ann si so beautiful - the sun rises above the deck of gray nautical clouds, overpowering the darkness to let us know that a great day is now at hand. Although the boat is going to sea under a dark sky...lovely views at the northerly shore of the Bay! Gorgeous! I had trouble getting your comment box to open this week. It wouldn't! I read, though! Gorgeous photos as always! I can hardly wait for those cherry blossoms! Lovely images. Yes, it is Spring here in Southern Ohio. The first crocus and daffodils are blooming. They are so very welcome. What a lovely assortment of various sights. 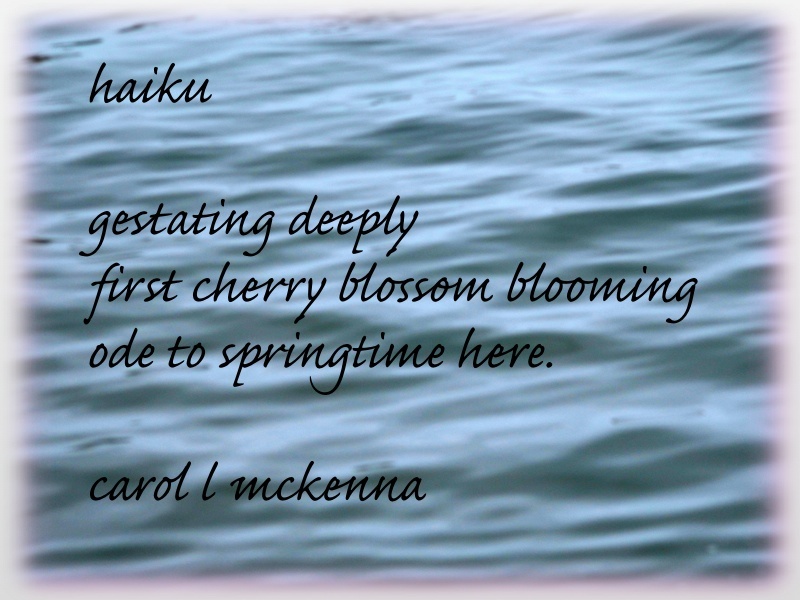 Your haiku signals the arrival of spring !!! Lovely photos as usual, spring is arriving. I love listening to those springtime odes! That flag and rosebud is perfect. Spring always jumps over to another places. I have only summer in Malaysia. What a wonderful post Carol. Your haiku is excellent. 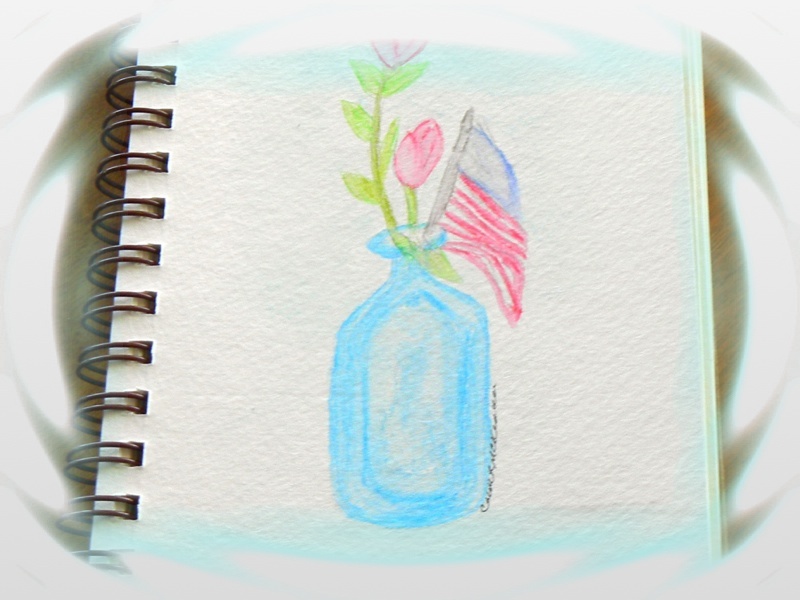 Lovely drawing, good job with glass bottle - beautiful! Love your photos and haiku, too! Your watercolor is so pretty, even if it's not finished. Yes, we are experiencing spring here. Wish you could see it. Hope you get yours soon. Some time swe just need to hibernate, I have finally learned that!!! 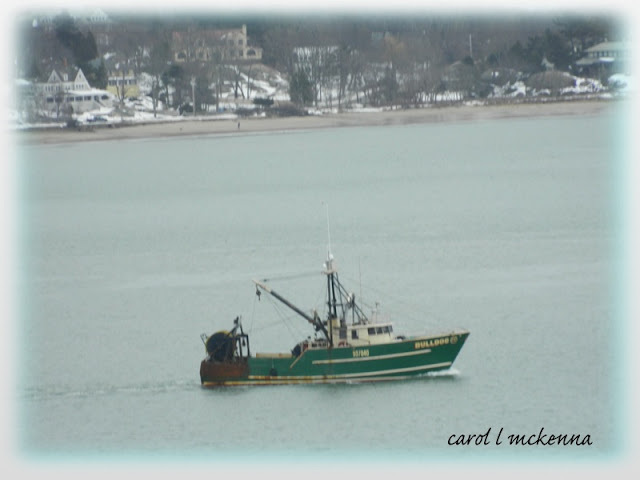 Love that fishing boat photo and enjoyed seeing the wip sketch. never thought of 'gestating', but then there is a birthing...nice twist....and i love your sunset.....happy St. Patty's..
great post I enjoyed both the haiku and pics. Love your pretty sketch, Carol! No sign of Spring here, we had some snow today. I am looking forward to Spring, ee flowers and enjoying warm weather. Wishing you a happy week ahead! Many moons ago I lived in Boston and loved taking trips up to Cape Ann. It was so heartwarming to see that fishing boat. Your sketch is looking good too! gorgeous sunrise!! and yes, spring has arrived in all her splendor in the mountains of northern arizona. i even slept with the windows open last night!!! A lovely sketch, soft and subtle. Lots of beauty here! The sunrise gets my first prize! What a pretty little painting! Lovely photos! I love the colors of your sketch, and that sunset is gorgeous!